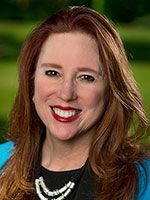 Voters should re-elect Kim Wyman to a second term as Washington’s Secretary of State. WASHINGTON is known for its nail-biting elections — remember the 2004 gubernatorial election, which was settled in court? Kim Wyman’s years of experience refereeing elections make her the clear choice for secretary of state. Voters should re-elect the Republican to a second term. Wyman has more than 23 years of direct experience in election work, probably the most important aspect of the office. And she has the endorsement — and therefore confidence — of county election officials, both Republican and Democrat, from across the state — from King County to Garfield County. ..."
Her challenger, Democrat Tina Podlodowski, offers some good ideas about expanding voter rolls that are worthy of consideration. But the secretary of state job needs more than cool ideas. It needs demonstrated performance. Wyman has more than 23 years of direct experience in election work, probably the most important aspect of the office. (The office also is in charge of corporation licensing, the state archives and the state library.) And she has the endorsement — and therefore confidence — of county election officials, both Republican and Democrat, from across the state — from King County to Garfield County. Wyman’s efforts to increase voter registration have included a data-matching system that compares driver’s licenses and other documents to voter rolls to identify residents who are not registered. As a result, Wyman says, 80 to 85 percent of eligible voters are registered. Podlodowski criticizes Wyman for not being a stronger advocate of Washington’s proposed and still-not-enacted Voting Rights Act — intended to ensure voters are proportionately represented in government. Wyman opposed the 2012 version of the act because she objected to language she said would make it difficult to schedule elections that could be required by the act. She offered wording to rectify those problems, but the measure still did not get through the Legislature. On subsequent versions of the bill, Wyman says she did not weigh in because she saw it as a policy issue the Legislature needed to address and that her office would then implement it. She now says she will work with Republicans and Democrats in the Legislature to get the Voting Rights Act passed in 2017. Details matter in elections, and a measured approach in a job that referees elections is a good attribute. Earlier in the campaign, Podlodowski urged Wyman to cancel Washington’s presidential primary — something a candidate for secretary of state should have known was not among the powers of the office. Podlodowski deserves credit for giving a vigorous challenge to Wyman, who should keep her promise to advocate for the Voting Rights Act. But this race really comes down to experience in a vital function of state government: running elections. Voters should re-elect Wyman.